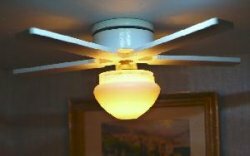 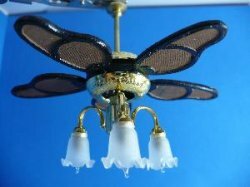 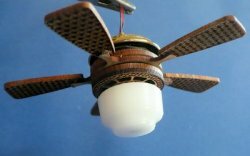 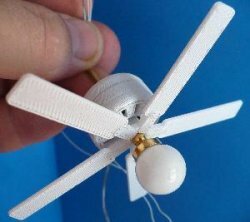 The working ceiling fan is my first and most favorite creation and continues to be a popular item. 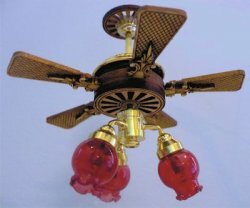 I made my first version in 1999 for a dollhouse I made for my niece. 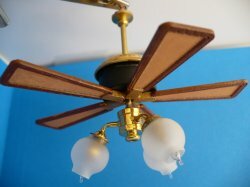 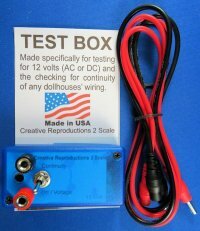 Having started with only one design, we now have nine different styles and are able to create custom units. 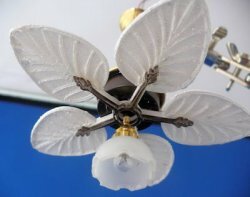 The Landers fan is custom designed fan that has become very popular and was designed for Jimmy Landers. 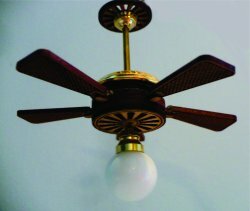 The fan is a period correct design of a 1920 style fan found in commercial shops. 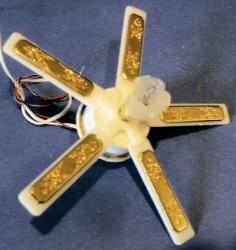 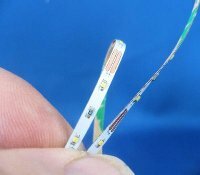 The early fans generally did not have any light, yet an add-on light kit was available even with the early fans.